Search Engine Optimisation (SEO) is essential to an inbound marketing strategy – it is the epitome of making your content easily found. But many B2B marketers consider it a dark art whose rules are nebulous and change constantly. Keywords are....key! Pick a manageable number of keywords, ensure that they have sufficient search volume and review them often. Then, identify which two or three of these words or phrases should be inserted into each of your pages. If there are any terms left over that haven’t been sufficiently accommodated, then build new pages! Page Titles. Search engines places more emphasis on certain areas of a page than others, and the page title is one of the more important ones, so include keywords here (but not too many…). Page URLs. The page URL should include the primary target keyword. Meta Description and Keywords. One of the areas of highest contention over which is more important, but the short answer is that search engines read these, so why miss the opportunity for your keywords to be found? Also, human readers will see the meta description in search results, so provide a valuable, compelling reason for why someone should visit the page. Heading Tags. In the body copy of the page, there should be one “H1” heading tag that incorporates the primary target keyword. Where you have multiple keywords for a page, don’t forget H2 and H3 headers can be used. Page Content. Use your primary target keyword a few times throughout the page’s content. There’s a balance here – too little and the keyword won’t register, too much and your page will be discarded as SEO spam. Create Internal Links. If you mention the primary target keyword of this page on other pages within your site, link back to the page using anchor text. Optimise Your Images. Use alt-tags in the image editors as another place to insert your keyword. 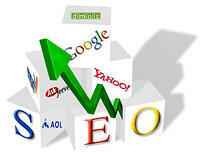 As said, each of the tactics above vary in their effectiveness according to the emphases within certain search engines’ algorithms, but these are the basics of on-site SEO. Now you just need to build links from external sites (off-site SEO), and therefore understand where to concentrate your efforts and where to build links from. Just as overusing a keyword in a page can be detrimental, so can building inbound links from the wrong place. And don’t forget social media and the need to build links from your network. Given Google’s interest in social media (Google+ and YouTube most notably), there is a clear need to co-ordinate your SEO activity with your social media planning. Clearly SEO is complex, but it’s not unconquerable. The trick is actually to avoid tackling it in isolation – from the very outset of planning content creation and distribution, consider how to glean the very most SEO impact from it. This ethos is at the heart of inbound marketing, and such a mentality is the sign of an integrated, multi-channel and ultimately more successful B2B marketing campaign.